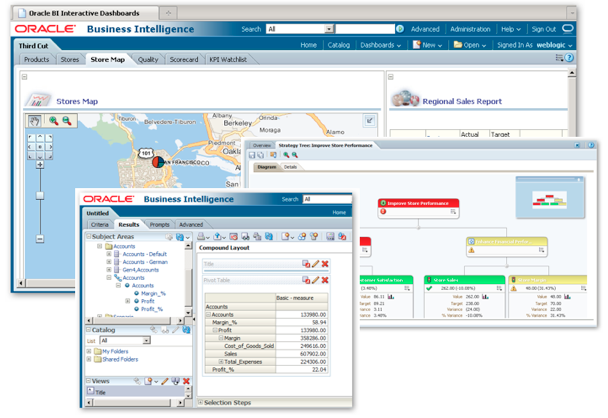 Tableau and Oracle BI solutions (like OBIEE and OAC) can collect data from a variety of sources. Providing interactive dashboards and the ability to create visualizations, they both sound like great tools on paper — and they are. What’s different about OBIEE is its repository database, known as the RPD. The RPD defines the entire OBIEE application. It’s where developers spend most of their time connecting data, joining tables, and making things easy for report writers. With the RPD, you don’t have to redefine metadata every time you need a new report. You’ll have to do a lot of work up front, but, in the RPD, that work is good for years. It’s like a vast library of knowledge that your company can keep adding to for years — and it’s all saved as a file. OAC is different because it's a platform that encompasses various tools and functionality. With OAC, there's an infinite number of ways you can customize your solution to fit needs across your enterprise. OAC includes Oracle Data Visualization, Oracle Business Intelligence Cloud Service (BICS), Oracle Essbase, Oracle Smart View, and Oracle Day by Day. Though these Oracle BI solutions are great, these capabilities take away from the ease of use. Tableau is easy to use and empowers end users to create amazing visualizations. Because of this, many end users are reluctant to use OBIEE on the front end, but they still want the great data OBIEE can provide. Why Connect OBIEE and Tableau? 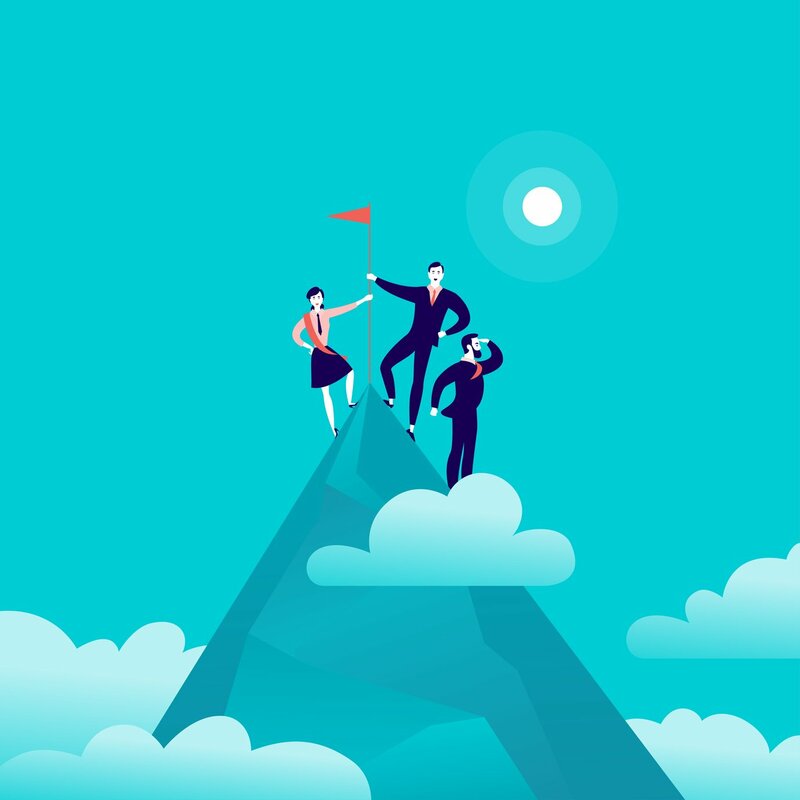 Innovative teams are always searching for software to improve their productivity — tools which make their teams operate faster and more accurately, while also reducing waste. One unfortunate, yet common, side effect of these ambitions is the team being burdened with multiple tools which do the same job. This is nothing new for many organizations, but in most situations, it causes the opposite of the original intent and makes teams less productive. In the BI space, we see this most often with the increasing popularity of self-service BI tools such as Qlik and Tableau. Small teams will purchase these self-service BI tools, while the enterprise purchases an enterprise-level software from Oracle, IBM, or SAP. Many will see these situations as a recipe for disaster, or at least a sign of many headaches to come, but it’s a unique opportunity to truly and completely grasp the power of your data. To fully leverage the power of your investments, you need to integrate these tools. It can allow decisions to be made in a timelier manner. It can ensure the accuracy of the decisions made. It can improve the return on your investments. 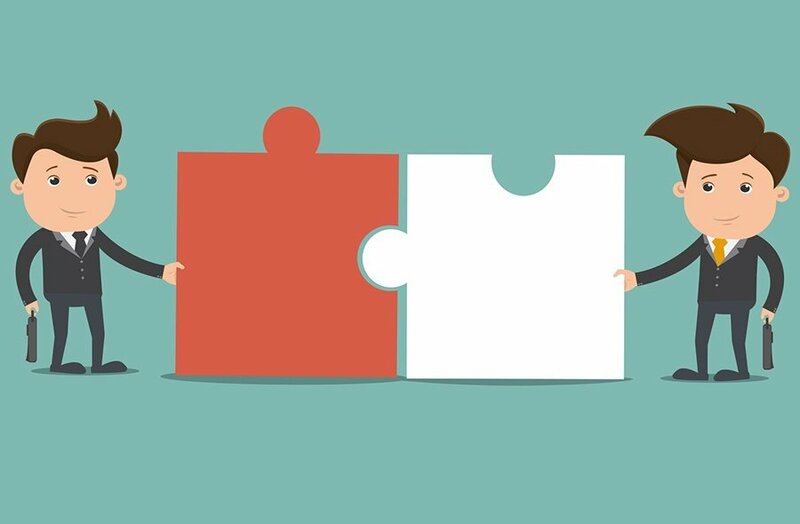 Let’s look at a common scenario — an organization that owns both Tableau and Oracle BI — and see the three main ways integrating these tools helps your organization. 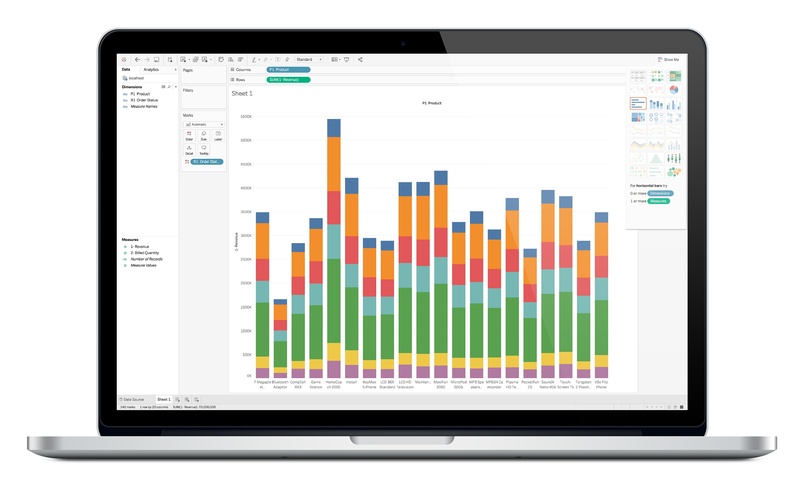 Tableau provides users with unparalleled speed in exploring data and generating visually compelling reports. This speed allows decision-makers to act and react at a pace rarely realized in most organizations. However, the time-dependent step in this process is accessing the data to import into Tableau. Waiting for the daily-scheduled data dump to be delivered. Lack of readily available access to the source data store. Personally authenticating, executing a query, and exporting the data. Your time should be spent finding insights, not fooling around with data sources. This is where Oracle BI becomes advantageous as it abstracts away the technical details and structures of the source data stores and provides a simple interface to access all available data. If you’re not using the already configured Oracle BI installation to access the source data, then you’re repeating work, and thus being inefficient. While Tableau can connect to numerous data sources and create powerful visualizations quickly, it’s only as good as the data it accesses. It’s not uncommon to discover provided data dumps aren’t “clean” and require some maintenance before being usable. 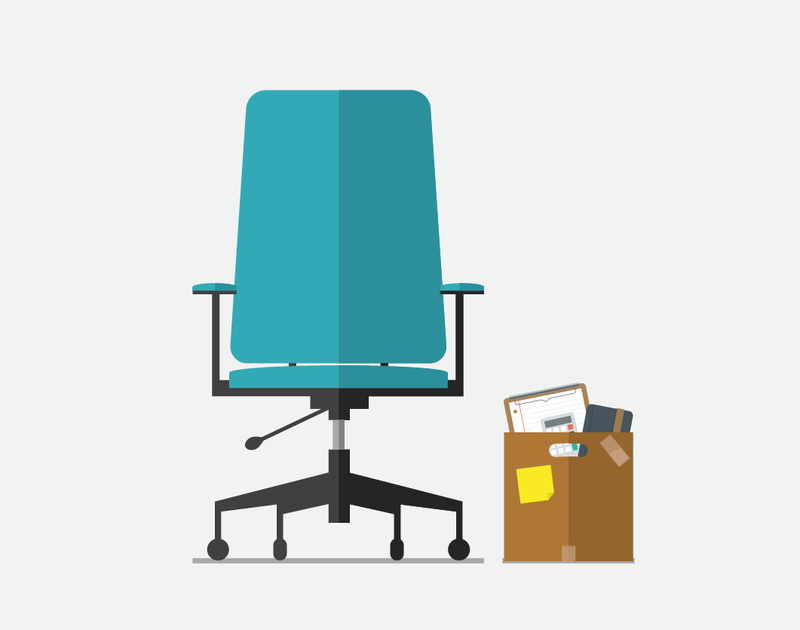 These situations are more than just inconvenient; they can harm unprepared organizations. Time spent investigating which data is accurate. Incorrect mathematical operations or calculations. Possible re-evaluation of previous directions and decisions. Of course, you could ignore the inconsistencies, but that may be more harmful than anything. Luckily the solution for this issue is simple: it’s the construction of a single source of truth. And as an Oracle BI customer, you already own this structure, as it's required for your application to function properly. Furthermore, this structure took months, if not years, to build. If you’re not reusing this structure, then you’re wasting a huge amount of time and money. While we can’t sit here and write a catch-all description of how to tell if Tableau or Oracle BI are the right investments for your organization, we can provide suggestions on how to get a great return on these investments. (For an in-depth analysis on generating the greatest return for these tools, we will be happy to discuss personally.) For the purposes of this article, we’ll keep it short and sweet. Basically, as soon as you abandon one of the purchased tools for another, your investment sinks. As discussed previously, Tableau is a great investment, but it has its shortcomings. Similarly, Oracle BI has its own shortcomings. Luckily, their advantages don’t overlap too much. This means we can use Tableau in the scope of what it’s “best” at, and Oracle BI in the scope of what it’s “best” at too. By using Oracle BI to collect the data, and using Tableau to develop reports, you have the best of both worlds. If you’re not using the right tool for the right job, and you already own all the right tools, then you’re missing a major opportunity. Directly access the source data configured in Oracle BI and pull it into Tableau. No more waiting, no more data dump deliveries, and no more duplication of effort. Connect directly to the data you need, using the credentials you already use, and get everything working immediately. Spend your time gathering insights instead of fiddling around with connection strings and access issues. Use Tableau to query the Oracle BI data source directly, leveraging the single source of truth. Using UnifyBI, all users are guaranteed to be accessing the correct and accurate data (all while respecting security permissions) validated by the IT groups of the organization. Making informed decisions doesn’t have to be difficult, and UnifyBI makes it as easy as possible. Connect to and query source data directly from the Oracle BI source. Users continue using Tableau with the Oracle BI data in a seamless transition between the two applications. Want to see UnifyBI in action? Watch the demo! Once it’s installed, UnifyBI is ready to use. It uses Tableau’s Web Data Connector to connect to OBIEE. In the UnifyBI interface, you can build queries, pull existing OBIEE reports, and then use Tableau to perform joins between data sources (something OBIEE can’t do). After you build your query and extract your data, you’re back in Tableau. It’s that simple. For sharing your visualizations and dashboards with everyone in your organization, you need Tableau Server. The server can be deployed on-prem or in the cloud. You can also connect the server to any on-prem or cloud-based data source and share those data sources with your entire organization. 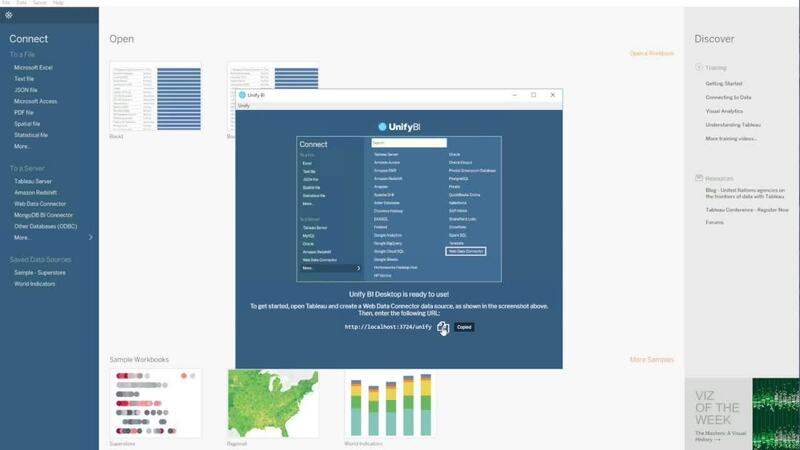 UnifyBI Server can connect to Tableau Server, allowing users to not only import Oracle BI data into Tableau, but also schedule automatic refreshes for the data. 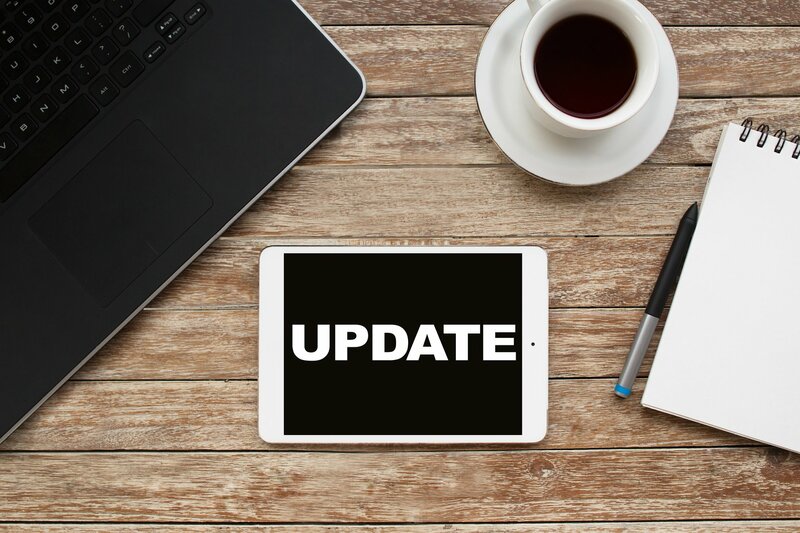 Your Tableau users will be able to create reports and visualizations that automatically update with the latest Oracle BI data. This ensures your Tableau users are getting the most out of both Tableau and Oracle BI. Using UnifyBI with OAC, OBIEE 12c, and OBIEE 11.1.1.7+ is no problem — UnifyBI works with these tools with no changes required. If you're in the process of upgrading, or upgrading soon, you don't need to wait to use UnifyBI. It functions identically throughout any upgrade path for Oracle BI.